“Save me, somebody save me!” is the refrain in the theme song from the Superman-based television program Smallville sung by the band Remy Zero. I have the CDs of Smallville from Season 1 to Season 7. I bought them when I lived and worked in Philadelphia. I was a Superman comic book fan when I was a child, but had not watched Smallville, when it was on prime time. But, I was in the library bookstore and saw Season 1, bought it and went back for Seasons 2-7. I was hooked. In Philadelphia I felt far away from my core community—I was! The people I worked with were wonderful, but I still did not have the same quality of life I had left. Considering that loving community had built up over 25 years, it is no surprise. But, hey, loneliness is loneliness. I was not trying to figure it out. I just watched Smallville and sang along with the theme song, “Save me; somebody save me!” But, in real life, Superman could not help. 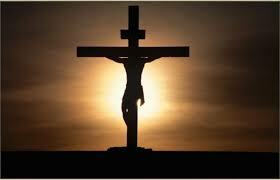 Today is Good Friday, the last day of Jesus’ ministry in Holy Week; the last week of our Fast. I attended two Good Friday services today. Though different—one was a seven last words service with diverse preachers; the other was a worship service with one preacher—both had people shouting and praising God for a Savior who loves us enough to die for us. The preachers built up the anguish of Jesus dying on the cross. We were taken up that hill of Golgotha or Calvary, slowly experiencing the heaviness of the cross and the strength of Jesus who bore the cross though he had been beaten and abused throughout the previous night. Then the preachers provided details of the crucifixion: the nails in his hand and feet, the crown of thorns, the crying out to his Father as he too experienced loneliness and dread. His final words as he died. All to save me—to save you. 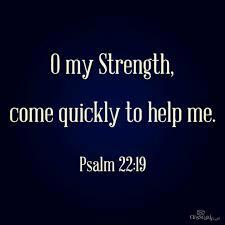 Jesus understands my longing to be saved. He also understands my feelings of loneliness and fear. He felt pain, loneliness, fear as he hung on the cross; yet he decided to yield to his Father’s wishes so that all of us could be saved. Today, I am reminded that I am saved. No waiting for someone to “save me.” If I can remember to draw upon the strength and faith; mercy and grace that is mine through Jesus’ sacrifice then I can be bold. 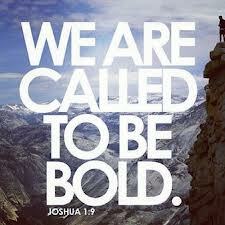 I can live boldly and love boldly. I can even serve boldly. Maybe, I can even be the one to answer someone else’s call for help. Posted on April 18, 2014, in Uncategorized. Bookmark the permalink. 2 Comments. Such clarity of thought. The world needs to hear your voice through this medium. You bless me every time I read your thoughts. Thank you. Thank you Di. I am encouraged by your comment.